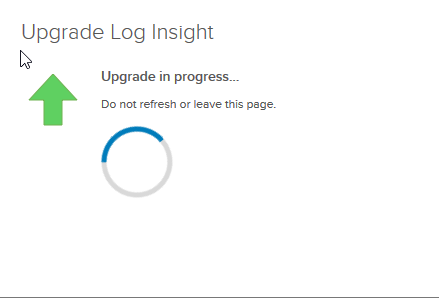 November 19, 2018 by admin 0 comments on "Upgrading vRealize Log Insight Manager 4.6.0 to 4.7.1"
A requirement arose to patch my vRealise Log Insight manager 4.6.0 to 4 .6 1 based on Advisory ID: VMSA-2018-0028 so as it’s an pretty easy task I have upgraded to 4.7.1 instead. Verify that you are applying the 4.7 upgrade to version 4.6.x . 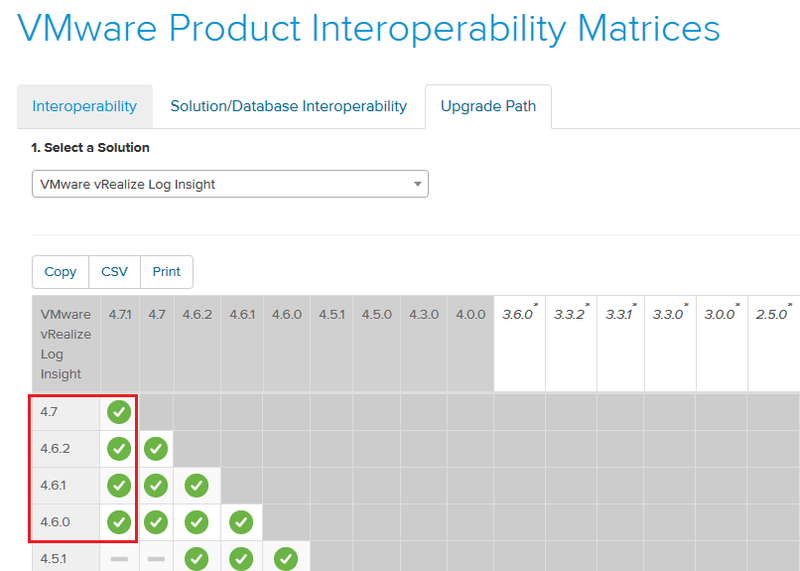 For more information about supported upgrade paths, see vRealize Log Insight Upgrade Path. 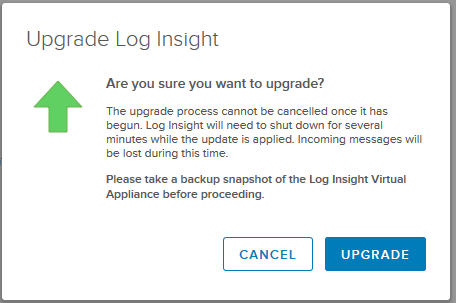 Create a snapshot or backup copy of the vRealize Log Insight virtual appliance. 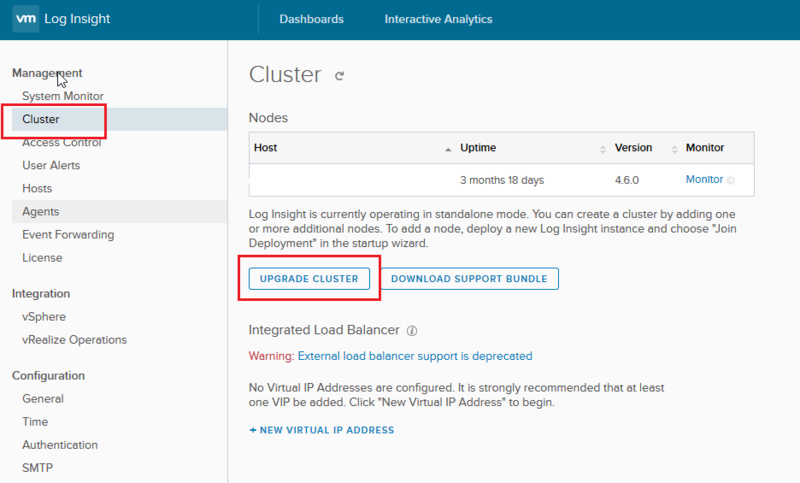 Obtain a copy of the vRealize Log Insight upgrade bundle .pak file for the release you are upgrading to. Make a note of any nodes you are upgrading that are in maintenance mode. When the upgrade is finished, you must move them from the state Connected to Maintenance mode. Take a snapshot, pre that I had to check I had enough storage on the allocated datastore and I did not therefore I storage vmotioned to another datastore before taking the snapshot. 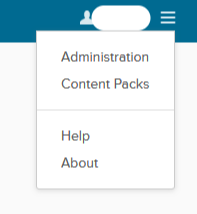 Click Upgrade from PAK to upload the .pak file. 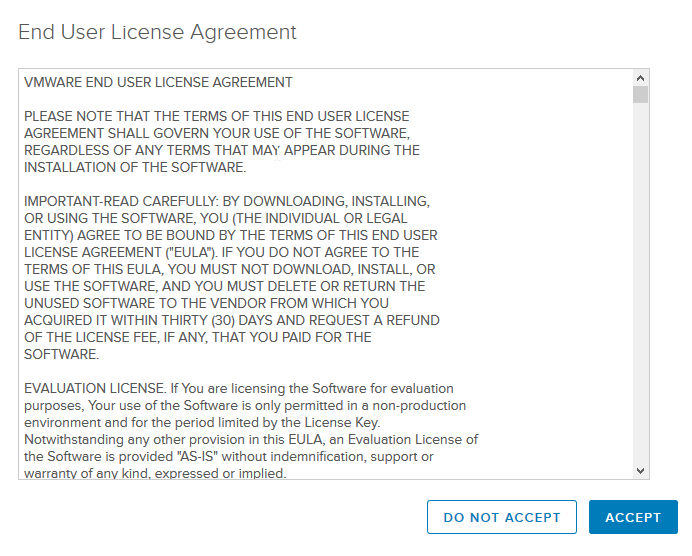 Accept the new EULA to complete the upgrade procedure. 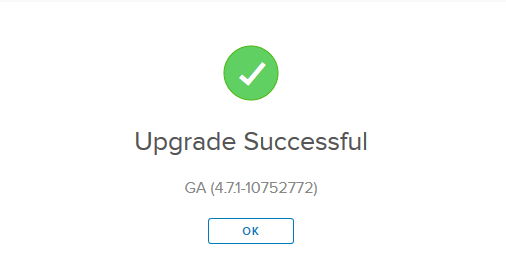 Download the upgrade .pak file from the VMware website downloads page. Agents are set to auto update, so that’s covered. Log in and check all is ok then Delete snapshot. Previous Previous post: Bye Bye External Platform Services Controller.